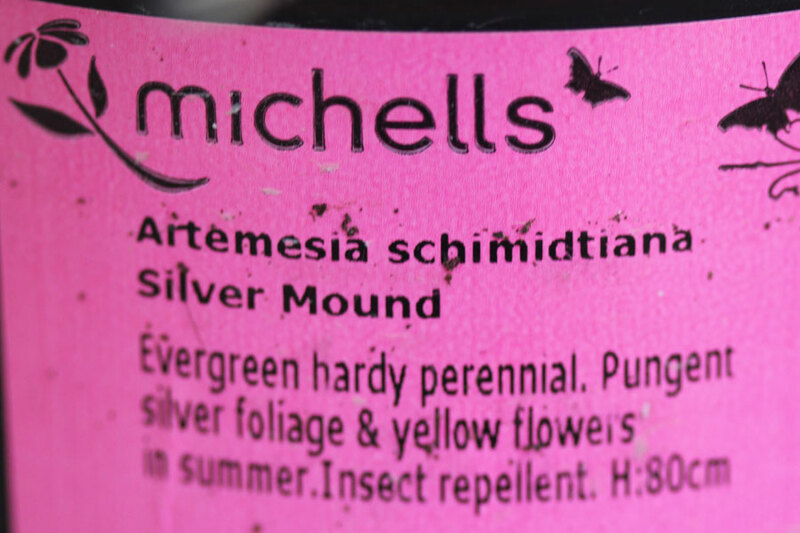 I’ve been hunting for Artemesia Powiss Castle for a while. Barbie has one she bought at a specialist nursery (Heaven Scent) in Elgin about a year ago. I’m always admiring it when I visit her. 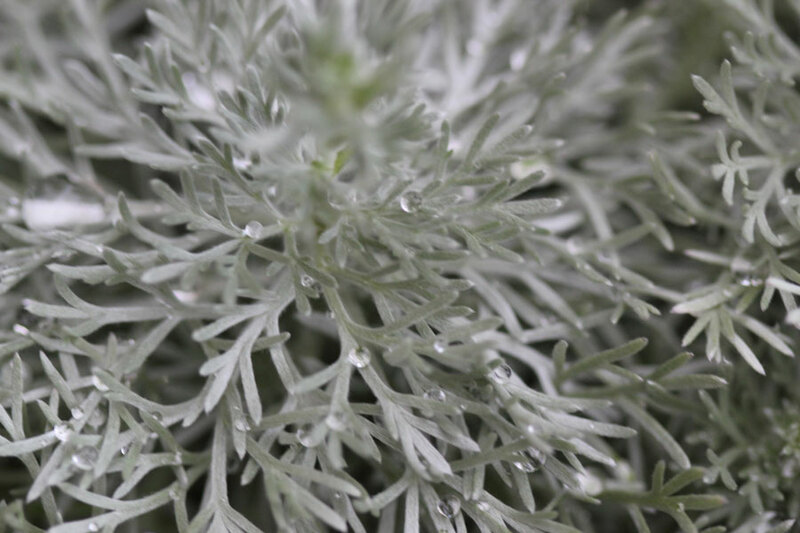 Its grown from a tiny little plant into an impressive shrub she has planted with her roses. 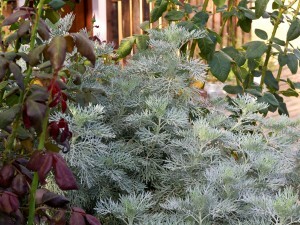 I love it as an accent plant for its lovely silver foliage. 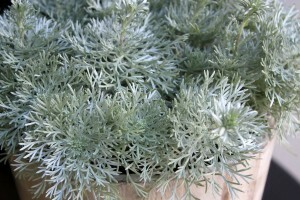 None of the local nurseries seem to stock Artemesia Powiss Castle. 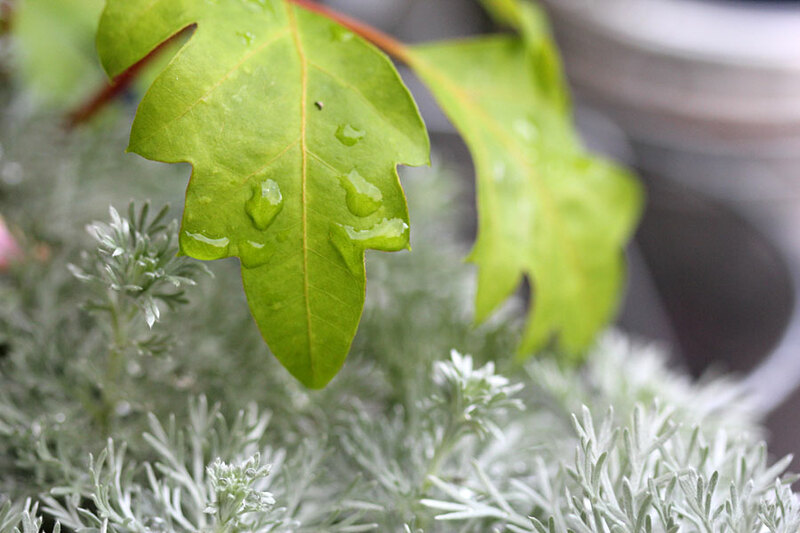 I can’t understand why – its apparently easy to propagate, is a fantastic foliage plant, water-wise, beautiful, thrives in our climate … bla bla bla … but no one stocks it. As seen in Barbie’s Garden. Beautiful, right? 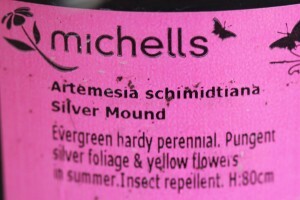 So Nurseries, why do you stock this and not Powiss Castle? #Just asking! The label says: “Artemesia schimidtiana “Silver Mound”. 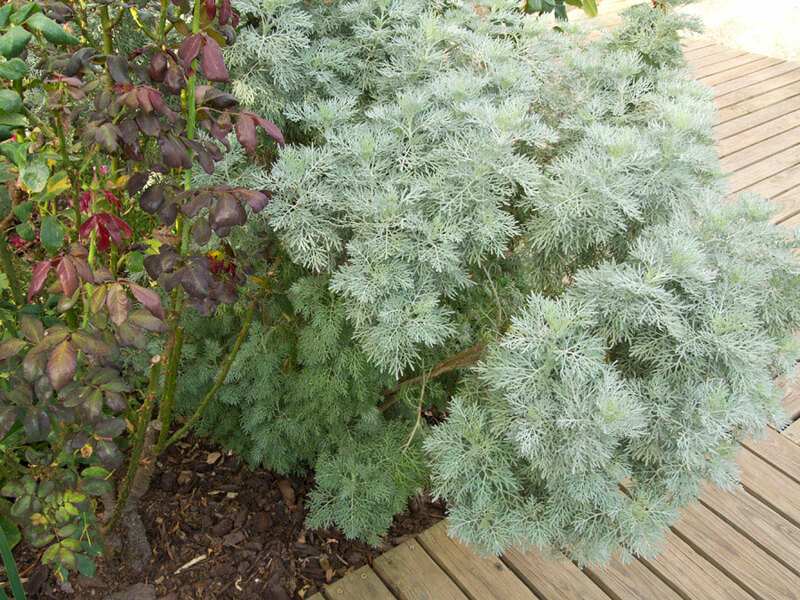 Evergreen, hardy perennial. 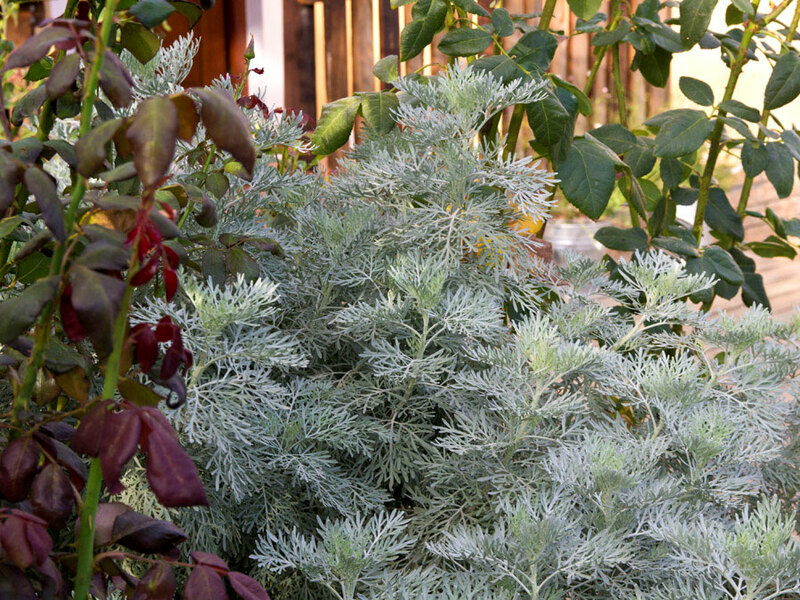 Pungent silver foliage and yellow flowers in summer. Insect repellent“. For now I’ve stuck it in a pot while I decide where to plant it. I haven’t found the perfect spot yet. In other news … lovely mild weather so I’m off to the garden to tackle my super long list of “Things to Do”. What are you up to? 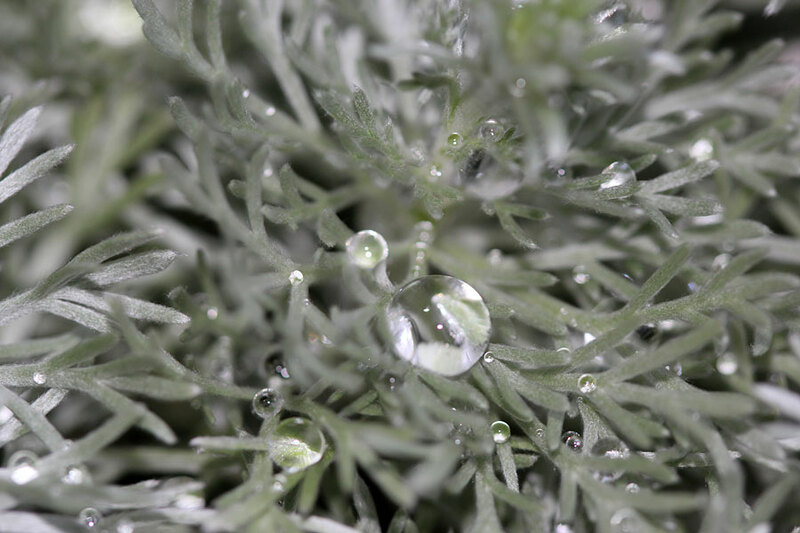 Wormwood, mugwort or Powis Castle? 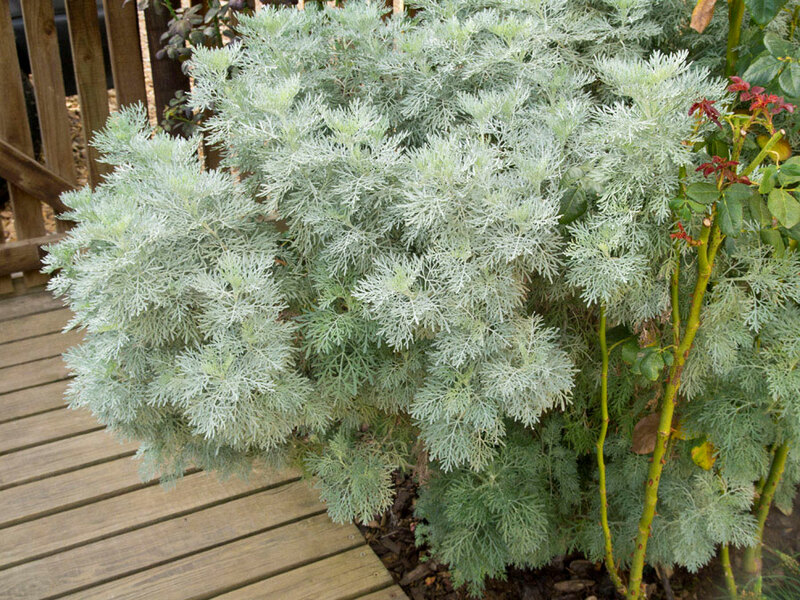 This is a superb plant, if I have to say so myself! Remember, we found it at one of our nurseries in Elgin. I have never seen one since! 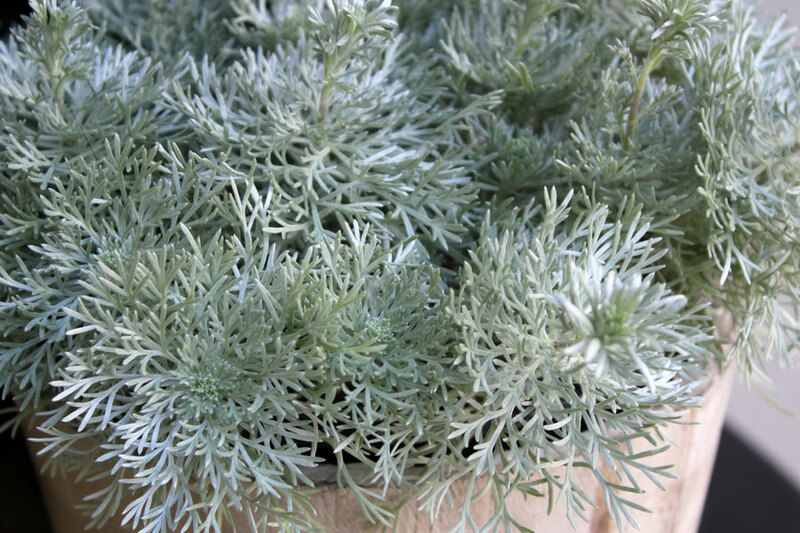 But your Artemesia is so cute!! Those pots are devine! I LOVE OVE mine – thank you for them. Will photograph them soon. With something inside! I think the Silver Mound might be a better choice. I’ve grown Powis Castle among other Artemisias and it faded out over the years while the others got stronger. Powis Castle can also get leggy and the lower leaves often turn brown with age. The top foliage always looks great, so its a minor flaw. I think it likes it a little less humid than here along the Texas coast. My inland friends grow it and with no troubles. 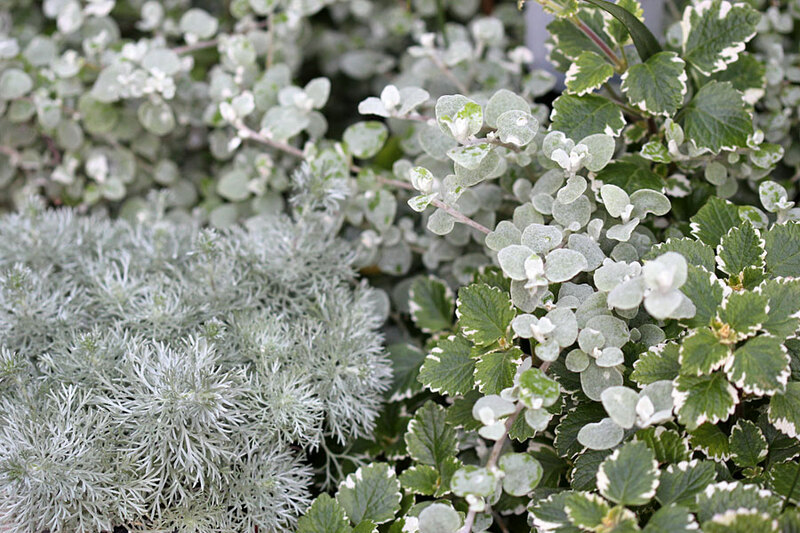 Try this Silver Mound and see if it stays more compact. The foliage on both are very similar. They’re both pretty – at least the one you bought looks rather similar. 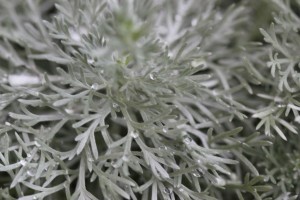 That’s too bad you can’t find it – I hate not being able to find the plant I’m looking for! 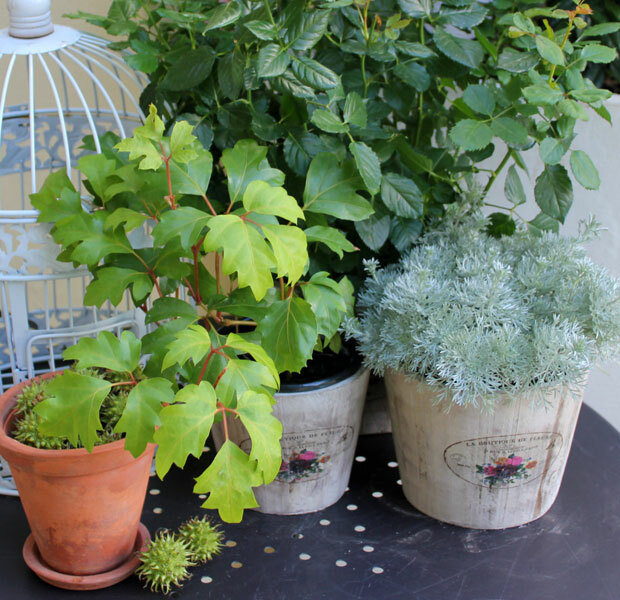 It’s been great weather here too – spending lots of time in the garden! Could you get a cutting from Barbie? I hope you learn to love your artemisia. Mine has gone much larger than I realized it would – but I love it! 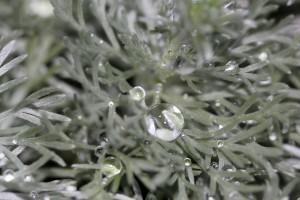 I have sea foam artemisia and love it. It’s hard when you have your heart set on something and the plant turns out to be mislabeled. I wonder if you can order Powis Castle from a catalog? I know you wanted Powis Castle, but Silver Mound looks really nice too. Maybe it is more suitable for your climate than Powis Castle. 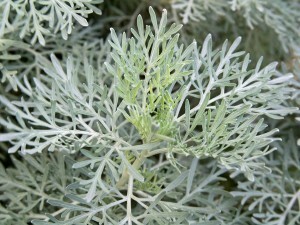 Grey leaves are a mediterranean adaptation. 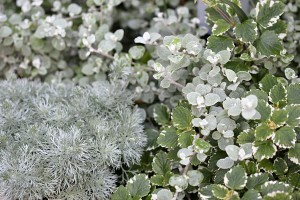 We should be able buy an inviting selection of local grey leaves. Yet I battle to find them!